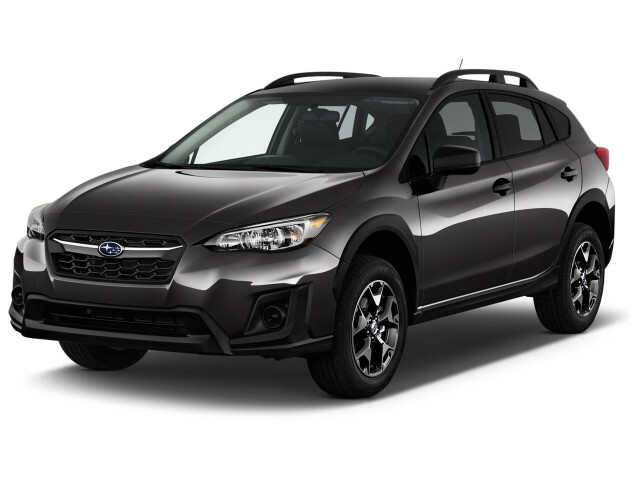 Shopping for a new Subaru Crosstrek? Do you really need ground clearance? A 2018 Subaru Crosstrek Premium with upgraded infotainment is a tremendous value for starting car buyers, regardless of segment. The 2018 Subaru Crosstrek smooths over the edges that we didn’t like with the last version. It’s smooth, quiet, and capable—all good things because it won’t be rushed. The 2018 Subaru Crosstrek is the second generation of the small off-roader. It's a small, wagon-esque crossover with impressive capability—it hit a sweet spot for many shoppers thanks to its flexibility and versatility. 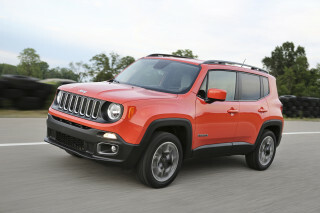 It has a wash-and-wear attitude that resonates with many outdoorsy types. Good news: The 2018 Subaru Crosstrek is now a more comfortable place to be for long periods of time. The same seating for five and hatch open to swallow more cargo, made better by a slightly wider opening and more interior volume with the second row folded. Better news: Subaru has improved the interior of the Crosstrek with more creature comforts, common-sense improvements, and sound-deadening material that propels the small crossover into the mainstream competition. 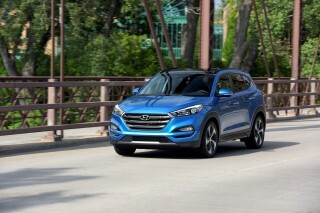 Although its interior now is about average for the class, the Crosstrek cruises at highway speeds around 80 db by our informal measurements, about on par with the Mazda CX-5, which touted its improved ride comfort for this generation as well. Bad news: The Crosstrek is powered by the same 2.0-liter flat-4 that makes roughly the same power as the last time around. With only 152 horsepower on tap, the 3,100-pound Crosstrek runs out of ideas quickly and requires advance planning to pull off highway passes. Our informal clocks ticked off 15 seconds to accelerate from 60 mph to 80 mph—a typical highway passing maneuver—while driving the car at high altitude. To the automaker’s credit, everything else has been sped up, from steering ratio to throttle tip-in and cornering ability, to compensate. In the same way that the first generation was a surprise success, this new 2018 Subaru Crosstrek should be a surprise for first-time owners. 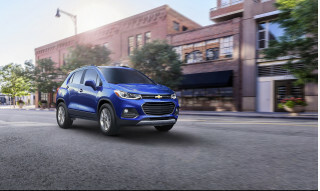 For just over $23,000 in a comfortable configuration, buyers will find a capable crossover that should go anywhere, with anyone, easily. That’ll be a shock. The 2018 Subaru Crosstrek will be like your favorite pair of jeans—suitable for daily duty, if not wholly at home at a formal affair. The 2018 Subaru Crosstrek is new from the tires up, but most people will be hard-pressed to spot the differences. It’s the same athletic profile, made more flexible with more cladding around the wheels and a higher beltline. From the outside, the new Crosstrek is most noticeable by its nose. Its lower front bumper is full of more black plastic, and on some trims, a darker grille. From there, more hawkish headlights can cover LEDs that have been rated as “Good” by the IIHS (halogen headlights are standard), which reach quickly into the front fenders. Like the Impreza on which the Crosstrek is based, the front pillars reach further forward into the hood, which helps improve outward vision. From the side, the Crosstrek is nearly identical to its predecessor, except for a slightly higher window line and deeper creases in the character lines that run along the doors. From the rear, Subaru has integrated half of the rear taillight assembly into the Crosstrek’s hatch, which helps widen the rear opening by roughly four inches between the lights. A hidden rear exhaust is your first clue: this car isn’t about outright performance. From the inside, Subaru has taken large strides on ergonomics, but those efforts don’t translate into outright style. Its dash relies on strong horizontal themes that cascade toward the center console, pronounced by a stitched dash. Small flourishes such as contrast stitching on the dash, aluminum accents around the vents, and seat inserts help add interest to an otherwise dark interior. The 2018 Subaru Crosstrek doesn’t change the formula from previous iterations: flat-4, competent transmissions, and capable all-wheel drive. You could find better performance, but it’d cost tens of thousands more. The 2018 Subaru Crosstrek sticks to a familiar formula: five doors, four cylinders, four driven wheels, and “for” getting anywhere you need be. Under the hoods of all 2018 Subaru Crosstreks will be a 152-horsepower flat-4 that represents a small improvement over the outgoing model that was rated at 148 hp. It’s hardly a speed demon, 0-60 mph takes around 11-12 seconds, and passing on the highway can be a laborious procedure; our informal stopwatches clocked the 60 mph to 80 mph dash in about 15 seconds. Its “flat” cylinder arrangement is a Subaru hallmark: the engine’s cylinders are arranged in a horizontal layout, which is 90 degrees different from conventional, upright wisdom for most cars. The tradeoff is a lower center of gravity in the Crosstrek, which helps counter the stance of the tall wagon. The Crosstrek’s flat-4 can be mated to a standard 6-speed manual or optionally available continuously variable automatic transmission (CVT) that helps wring out the engine’s potential. 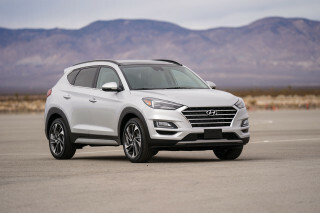 The manual is new for the automaker, and will likely find its way into the Impreza, but it’s not the best option here. The 2.0-liter flat-4 runs out of breath quickly in the rev range, so opting to row your own is an exercise in, well, exercise—constant shifting is required to keep the Crosstrek moving quickly. In reality, the CVT is a better option. It keeps the Crosstrek in its sweet spot with less effort, simulates “gears” when you’re standing on it, and takes far less effort. The CVT has been improved for better off the line performance and better cruising range with an expanded range, which Subaru claims is the widest without a supplemental gearbox. Regardless of transmission, the Crosstrek comes standard with all-wheel drive, another Subaru hallmark. Although the hardware varies by transmission, the effect is the same: the Crosstrek is sure-footed like a mountain goat. This year, Subaru has added a brake-based torque vectoring system that stabs the brakes on inside wheels to help carve a tighter line through corners. Beyond the meager horsepower bump and wider gear range, the Crosstrek’s ride takes the largest leap forward for this generation. A slightly revised suspension with added braces up front and softer damping helps the Crosstrek lose some of its more agrarian tendencies; but the result is predictable head toss inside. In all, it’s a worthwhile trade for most people. Subaru’s attempts to speed up the things you don’t see in an effort to compensate for the slow things you can see has been mostly successful. The steering rack speeds up to a quicker 16:1 ratio, which is incrementally faster than the 13:1 ratio in the last version. A generous dead spot in the center helps in highway stability, but first-time drivers may find themselves dialing in minor corrections around long, sweeping turns for the first week or so. The Crosstrek’s throttle response may be faster than some drivers are used to; it momentarily fooled us into thinking it was quicker than the spec sheet would indicate. Comfort isn’t the Crosstrek’s first mission, but it’s the one that’s most dramatically improved for this year. The 2018 Subaru Crosstrek makes its biggest strides from the last generation in refinement and comfort. By the numbers, the Crosstrek has gained more than one inch between the wheels although the overall bumper-to-bumper length hasn’t changed much. Rear seat passengers get more than an inch of added leg room thanks to the changes, and the new Crosstrek is nearly an inch wider than the outgoing model, which helps shoulder room in the back seat. Front-seat riders get the best of what’s around—comfortable seats swaddle a wide range of bottoms and body types. Ergonomically, the Crosstrek is better this time around: common-sense features such as the seat warmers have been moved further up the transmission tunnel to be more accessible. Cargo capacity is marginally reduced in the new Crosstrek, down from 22.3 cubic feet with the rear seats in place to 20.8 cubes. In reality, the usable space is roughly the same, and overall capacity is up with the rear seats folded down—up to 55.3 cubes. The Crosstrek’s ride quality is dramatically improved with a hushed interior and softer springs that helps to iron pockmarked roads. The result is a little more head toss, but it’ll be hard for many to notice in typical circumstances. The Crosstrek keeps the same 8.7 inches of ground clearance, which is tied at the tops of its class for capability. In addition to the standard ground clearance, the Crosstrek’s go-anywhere attitude and hill-descent control with the automatic transmission means it can out-perform many in its class—and many more in the class above. The 2018 Subaru Crosstrek earns top marks for crash safety and prevention. Federal and independent testers agree that the 2018 Subaru Crosstrek is near the top of its class for safety. The new Crosstrek utilizes Subaru’s global architecture for all its cars—most notably cars that are much bigger. What that means for the Crosstrek is a compressed, tighter frame that feels far more capable than its powertrain. 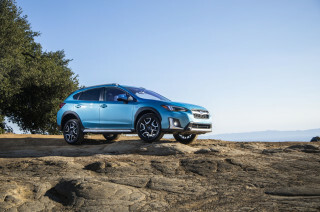 The IIHS rates the Crosstrek as a Top Safety Pick when it's outfitted with the automaker's EyeSight collision-avoidance tech and with the LED headlights that come on Limited trim levels. One important thing to keep in mind is that the IIHS determined the Crosstrek's score by testing the similar Subaru Impreza. The two cars share a structure and many body panels, but the Crosstrek does ride a little higher. Federal testers gave the Crosstrek a five-star overall score, including four stars for front and rollover crash safety. In addition to the excellent structure, the Crosstrek is the beneficiary of Subaru’s corporate advanced safety suite, dubbed EyeSight. 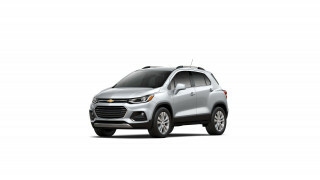 Optionally available on Premium and Limited trim levels with a CVT, the forward-facing camera system includes adaptive cruise control, forward-collision warnings with automatic emergency braking, and active lane control. The latter portion is the only one we’ve had issue with; it doesn’t seem to be all that effective in the real world. In addition to the forward-facing technology, EyeSight adds blind-spot monitors and rear cross-traffic alert on Limited trims (they're standard on Limiteds with or without EyeSight), with added rear collision prevention this year. If all the technology isn’t impressive, then Subaru’s standard complement of airbags, traction control systems, and new brake-based torque-vectoring systems should be. The 2018 Subaru Crosstrek makes a compelling value proposition in base models. Subaru has taken large strides to bring its cars up to the class leaders in available technology and creature comforts. The 2018 Subaru Crosstrek comes standard with 17-inch alloy wheels, cloth upholstery, a 60/40-split folding rear seat, 3.5-inch multifunction display, Bluetooth streaming, and a 6.5-inch infotainment touchscreen with Apple CarPlay and Android Auto capability. Starting with the 2018 Subaru Crosstrek 2.0i as base, the crossover starts at a modest $22,710, which is only $100 more than the outgoing model. 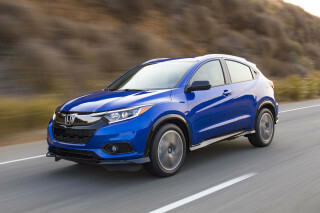 A CVT is optional on base models for $1,000 more. The next step for many buyers will be to the Crosstrek Premium trim level for $23,510, which adds more available options, heated front seats and mirrors, and sound-insulated front windows and windshield. Premium models can add Subaru’s advanced Eyesight safety suite (on CVT-equipped models), a larger touchscreen, and a moonroof. For a small number of buyers, the manual transmission will be available with many of the same creature comforts, such as contrast stitching on cloth seats, and better infotainment—the efforts of one brave soul within Subaru’s boardroom. At the top of the line, the Subaru Crosstrek Limited offers many comfort features including leather upholstery, Harman Kardon premium audio, upgraded multi-function display, and 18-inch wheels for $27,210 to start. A fully decked Crosstrek won’t cost much more than $33,000, which is surprising for the amount of features, but its value proposition falls down when it’s compared against base versions of itself. Put simply: You don’t have to pay a lot to get a comfortable Crosstrek. And that’s refreshing. The 2018 Subaru Crosstrek manages to be fuel-efficient, even with standard all-wheel drive. The 2018 Subaru Crosstrek is moderately fuel-efficient, and we expect that the story will get better soon when a hybrid version is released next year—if it's widely available. Opting for the manual-equipped model doesn’t do any better—it does much worse. The 6-speed manual Crosstrek earns a 23/29/25 mpg rating by the EPA, which makes it a tougher sell for many shoppers. 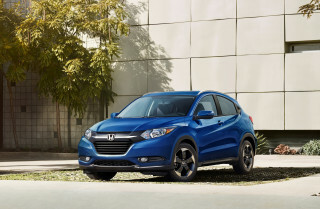 That 29-mpg rating is on par with, or better than, many in its class. 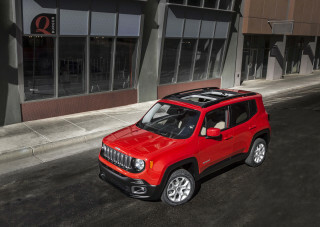 The Jeep Renegade, which boasts similar off-roading capability, manages a 24-mpg combined rating with all-wheel drive and an automatic. 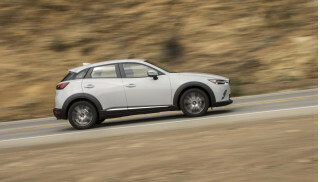 The Honda HR-V manages the same 29 mpg combined rating as the Crosstrek with all-wheel drive and a CVT, and the Mazda CX-3 earns the same with AWD. In short: To do any better than the Crosstrek would require fewer driven wheels. WOW very pleaseantlly surprised !!!! Looking for a different year of the Subaru Crosstrek?